A jargon-free view of Waldorf education and its philosophy of a three-dimensional education. Since their inception over 80 years ago, Steiner-Waldorf schools have offered a much-needed model for educational reform. 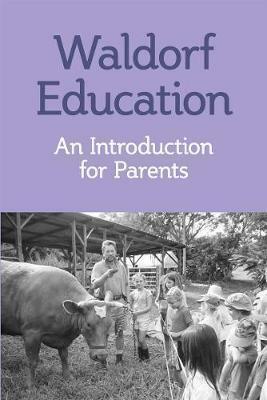 The author provides a compelling, clearly written picture of the key components of a Waldorf education, focusing especially on child learning experiences that develop thought, feeling, and intentional, purposeful activity. Ideal for parents and teachers, this book gives a common sense understanding of an education which answers modern needs in over one thousand schools across the world. Since their inception over 80 years ago, Waldorf Schools have offered a much-needed model for educational reform. Understanding Waldorf Education: Teaching from the Inside Out, provides a compelling, clearly written picture of the key components of a Waldorf Education. Through the insights and reflections of one of America's most experienced Waldorf class teachers, we are given a clear, common sense understanding of this uncommon education. Jack Petrash has been a Waldorf teacher for over 30 years, much of that time at the Washington Waldorf School in the USA, where he has taken three classes of children from Class 1 to Class 8.